Do you have a Torqueflite dash shift box for 56 Plymouth? Glenn: As far as I know only some late run 56 Imperials and maybe New Yorkers got Torqueflites in the 1956 model year. They used a 1673 906 shifter box (same as used in the 57/58 D100 trucks with the Loadflite transmissions). I am using this box and associated 1705 370 face plate for my planned swap to a cast iron Torqueflite. I have found no such evidence for 56 Plymouths. Based on their price point and the smaller engines (mostly 277s and some 303s in the Furys), I honestly doubt that the 56 Plymouths would been lined up for Torqueflites. That said, there was only one Powerflite shifter box across the 1956 Plymouth, Dodge, Desoto and Chrysler range, 1639 977. This implies that the 1673 906 early Torqueflite shifter box might be able to be installed into a 56 Plymouth binnacle. As for faceplate, I think that you will have to make one because there is no "cheat" like I am able to do, i.e. the 1705 370 57-58 Dodge truck Loadflite five button shifter faceplate. 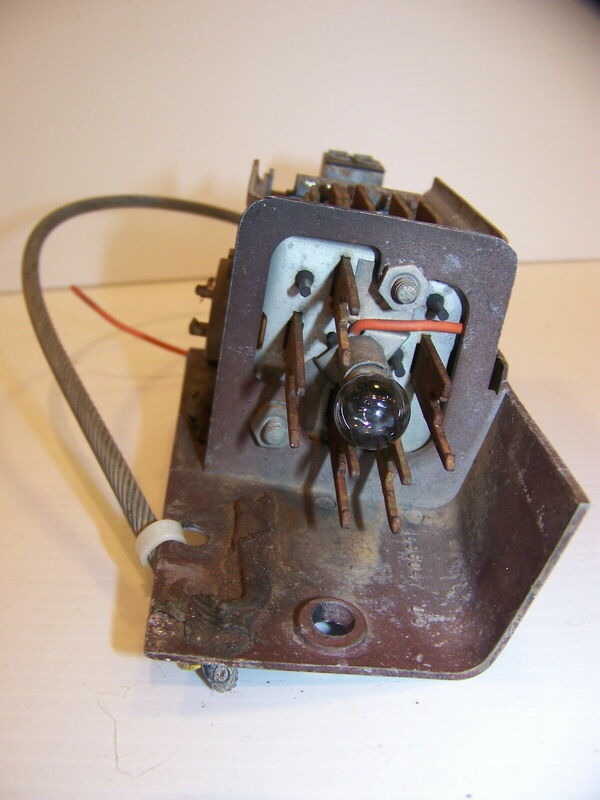 According to Dave Fogle, who posted in this string, the 56 Chrysler/Imperial and 57-58 D series truck LoadFlite pushbutton mechanism, part number 1673 906, is a possible fit for the Plymouth PowerFlite binnacle, to convert it to connect to a Torqueflite; for which I'd have to fabricate a faceplate, which I am willing to do..
Do you have a 56 Chrysler/Imperial or 57/58 D series Torqueflite 1673 906 pushbutton mechanism? Sorry... that was Dave Forgie, not Fogle. If you have the pix of what you think I want, please send them to glennradford@icloud.com. Anyway, if Charlie doesn't have a 1673 906, it looks like a 57 Plymouth shifter box is much the same. There are some on eBay. I have heard but can not confirm that the 56 Powerflite RNDL buttons work in the early (late 56) Torqueflite shifters (L becomes "2" (or "1" (???)). Not sure if that is true for a 57 Plymouth Shifter box. The reason I'm considering replacing the Powerflite with a Torqueflite is to improve performance; I've added compression, a cam, enlarged intake valves, a high rise ("wind tunnel") manifold, spitfire headers, 2 1/2" dual exhaust, and a new Edelbrock 650 cfm carburetor. The performance is only marginally better than it was prevoiusly, when it was all stock. I'm told the extra gear in the TF will make a big difference.. do you agree?